Afternoon kindergarten is having a field day, and Junie B. Jones is team captain. Only, Room Eight keeps on winning too many events, and so how will Room Nine ever become the kindergarten champions? From the front Cover Afternoon kindergarten is having a field day, and Junie B. Jones is team captain! Only, here's the problem. Room Eight keeps on winning too many events. And so how will Room Nine ever become the kindergarten champions? 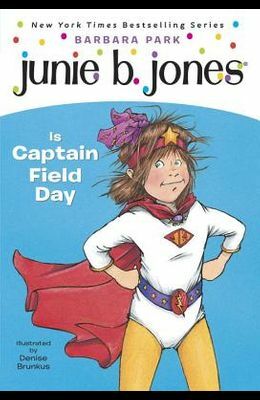 As Captain Field Day, will Junie B. find a way to lead her team to victory? Or will it be up to someone else to save the day?